They say that one man’s trash is another man’s treasure, and that’s certainly the case when it comes to organic waste such as food scraps and yard trimmings, at least if you are an enterprising composter. According to the EPA, Americans dump over 36 million tons of food waste every year. Not only is that horrendously wasteful in a world where billions of people are starving, but decomposing food also creates methane, which is ten times more harmful as a greenhouse gas than carbon dioxide. Entrepreneurs know that every problem creates a potential for profit. According to Fredricksburg.com, Melissa Tashjian of Milwaukee took the money she had saved for a new kitchen and used it to buy a 25 year old dump truck earlier this year. So far she had signed up 7 area restaurants who pay her to haul away their food scraps. They put waste vegetables, fruit, eggshells, and cheese into a container lined with a compostable bag made of plant material and leave it for Tashjian to collect. She is now carting 25,000 pounds of wasted food to a local composting facility and expects to have 100 or more customers by the end of 2015. In Boston, Andy Brooks, a former journalist, started a business in 2011 picking up food waste from local restaurants using a bicycle. Now his business has eight employees and three trucks and gathers organic waste from 750 homes and 50 businesses. Residential service costs $8 a week. Commercial accounts start at $18 a week. “I realized pretty quickly that there was a pretty big demand for this,” Brooks says. In Philadelphia, Tim Bennett started Bennett Compost. He and his crew service more than 1,000 homes and 15 to 20 small businesses, hauling their food scraps and yard waste to five different farms for composting. CompostNow in Raleigh, North Carolina has 350 residential customers. In Washington DC, Compost Cab counts about 500 homes and a few dozen businesses as clients. “What we’re really talking about is building a more sustainable citizenry, one bag of food scraps at a time,” Compost Cab founder Jeremy Brosowsky says. 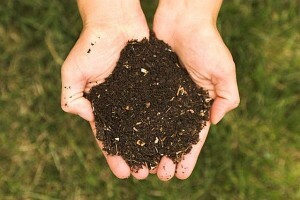 Can Entrepreneurs Handle All of Our Composting Needs? However, a growing number of communities are planning citywide or regional organics recycling programs. They are already up and running in hundreds of communities, especially large West Coast cities and their suburbs says Jerry Powell, executive editor of Resource Recycling magazine. He says one-man-and-a-truck operations can’t handle large scale operations. So is now a good time for you to quit your day job, buy a truck and get into the waste hauling business? Maybe. Or maybe not. A few decades ago, video stores were the business of choice for entrepreneurs but they have gone the way of the horse drawn carriage today. Still, a lot of people made a lot of money renting videos. Entrepreneurs have to be quick on their feet and know how to adapt to changing market trends.